Hi everyone! How is your week going? I hope great! And if not… maybe this recipe can help cheer you up because trust me it’s a good one. You can never really go wrong with a little cookie pick me up if you ask me. 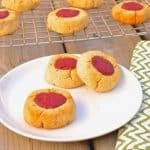 These Raspberry Thumb Print cookies are safe for the paleo, SCD and GAPS diets and are a great dessert or snack option. 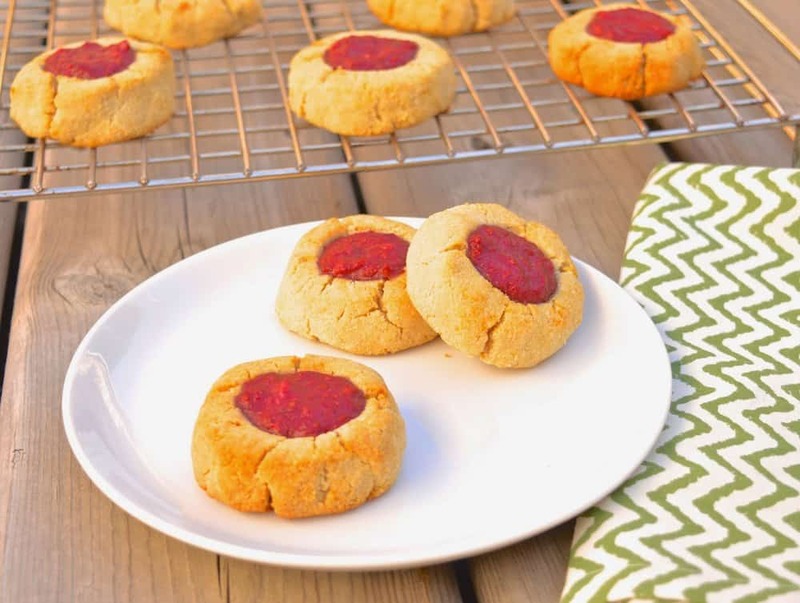 They are made with both almond and coconut flours and if you don’t have raspberries on hand you could also make these with strawberries or blueberries. I made these cookies for my weekly Royal College study group meeting and even though these are grain, dairy and refined sugar free, everyone loved them. And no one else in the group is paleo (or even remotely close). 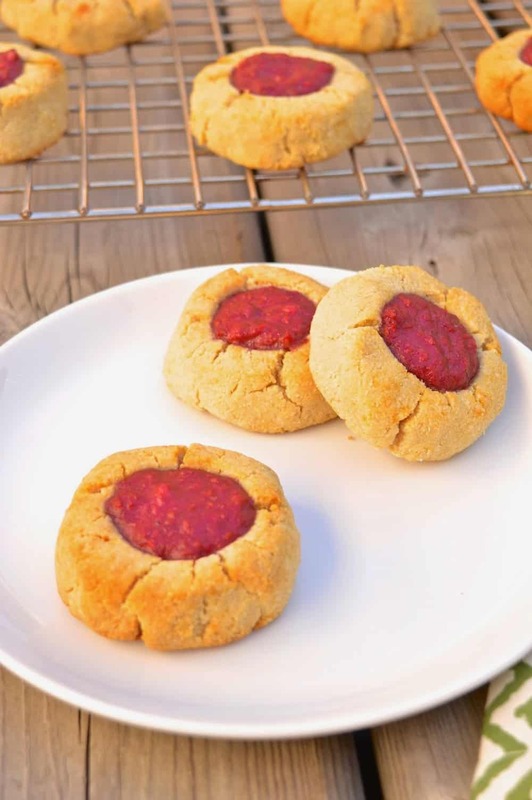 These cookies are sweetened with my favorite sweetener, local honey, and the raspberry center adds even more flavour. Plus there is a little grass-fed gelatin thrown in there for good measure because we all know how good grass-fed gelatin is for you. Right? If not you should read my post all about this super food here. You know what I want? Really badly. A puppy! When I stopped by Community Health Foods over the weekend one of the local animal shelters was hosting an event helping to promote the adoption of their animals. It took all my strength not to walk away with one of those little guys (or girls). Our family dog of 16 years, Flint, passed away in March and it just isn’t the same around here without him. Quality of life is just better with a dog. It’s a scientifically proven fact. It breaks my heart when I see all the advertisements for dogs in shelters that are about to be euthanized because of over-crowding in shelters. So I have officially added “adopt a dog” to my bucket list. Hopefully in the next couple years I will be able to cross that one off the list (ideally sooner). Have any of you ever adopted a dog? How was the experience? Would you do it again? Alright well it is time for me to get back to studying…. Although I might go grab another cookie first…Happy eating everyone! I would love to know what you think of these. And If you don’t eat them all right away, they can be kept in the fridge for up to one week or frozen for a later date. And as always I would love it if you followed me on Facebook, Pinterest and Instagram where you will find even more recipes and health-related information.